Labour is, and always has been the Party of British Muslims. Although Iraq was wrong, the Lib Dems have failed to support a number of other important areas for Muslims. Our guest writer is Rt Hon Sadiq Khan, Member of Parliament for Tooting since 2005 and Labour candidate again in 2010. Labour is, and always has been the Party of British Muslims, and indeed that of all religious and ethnic minorities. I don’t pretend we’ve been perfect – indeed, in terms of our relationship with British Muslims there have been some problems – but I do believe if you really look at our record and that of the other parties you’ll agree that for British Muslims, Labour’s the only way to go. Something new always has a draw, an excitement. And it’s easy to think of the Liberal Democrats as a benign left-wing option, one that has not been tainted by power. But before deciding to switch take a look of the details of what they’ve actually said and done. Labour believes, and always has believed, that it is our duty to promote equality and to tackle the problems faced by the most vulnerable in society. This isn’t empty rhetoric, Labour Governments have delivered time and time again, from founding the NHS to introducing the minimum wage. So it’s no surprise that we’ve always had a strong relationship with the British Muslim Diaspora. It was a Labour Government that gave independence to India and Pakistan; it was Labour-friendly trade-unions that encouraged new arrivals to become union members and improve their working conditions; and it was a Labour Government that passed the first ever laws outlawing discrimination on the grounds of race. And over the past thirteen years we’ve continued to deliver. But not with the support of the Lib-Dems. We’ve brought the law up to date to prevent discrimination on the basis of religion. The Racial & Religious Hatred Act’s made it illegal to threaten people because of their religion or to stir up hatred against a person because of their faith. The Liberal Democrats voted against our original proposals and have diluted the provisions of this Act (as did the Conservatives). Labour’s made it illegal to discriminate against someone because of their religion or belief in employment or when accessing goods and services. And we have now passed the Single Equality Act – although the Liberal Democrats tried to scupper a key part of this that helps Muslims. In areas where minority ethnic communities are disproportionately excluded, we’ve introduced targeted programmes. The ‘Race for Health’ programme is helping to drive forward improvements in health for minority ethnic people. The Minority Ethnic Achievement Programme helped narrow the gap in educational attainment between minority ethnic pupils and the national average. Like many others, I believe the invasion of Iraq was wrong and Labour must, and is, working to repair its relationship with Britain’s Muslims which has been damaged by the war. I was pleased that one of the first Acts Gordon Brown did when he became Prime Minister was to withdraw British troops from Iraq. While the war in Iraq, and other aspects of our Foreign Policy. remain a huge issue, don’t let this obscure the work the Government has done for Muslims abroad. Bilateral Aid to Bangladesh and Pakistan has doubled and we continue to provide millions in humanitarian support in Gaza. Overall, Labour has trebled the aid budget since 1997, we’ve cancelled debt and increased trade with the poorest countries. Looking at the makeup of the parties is illuminating too. Labour’s had the first black MP, the first Muslim MP, the first Black Cabinet Minister, the first black Leader of the Lords, and the first Asian Minister in the Commons. I’ve been lucky enough to be the first Asian, and Muslim, Minister to attend Cabinet. And we have dozens of Parliamentary candidates of Muslim faith standing in safe seats at this election. The Lib-Dems don’t have a single Black or Asian MP and are nowhere near having one. So, come May 6th, I urge you to think about which party has done the most for British Muslims in the past, and with whom you can trust your future. Days before the dissolution of Parliament for the election, Mr Khan, a transport minister, used Commons stationary and pre-paid envelopes to write to hundreds of voters in his marginal seat lauding his own record. Under Commons rules, pre-paid envelopes and official stationery can only be used for official parliamentary business. MPs are not allowed to use them to send unsolicited mail, or for campaigning purposes. Mr Khan earlier this year repaid more than £2,500 in parliamentary expenses after breaking those same rules by sending cards and letters to young voters in his seat. As a member of the public (i.e. not an MP) I can obtain and read government legislation online and I can make use of websites such as http://www.publicwhip.org.uk to see how MPs have voted on a particular piece of legislation in parliament. However, what I cannot know is WHY any particular party of politician votes in favour of or against a piece of legislation. There can be many reasons, not least the specific wording of the bill itself. With that in mind, could you perhaps be more specific when you say “The Liberal Democrats voted against our original proposals and have diluted the provisions of this Act (as did the Conservatives).” in relation to the Racial and Religious Hatred Bill? What sections of the bill have been ‘diluted’? What was their original wording? What difference does the new wording make? Similarly when you say “the Liberal Democrats tried to scupper a key part of this that helps Muslims” in relation to the Equality Act. What is the ‘key part’ of the Act? How did the Liberal Democrats try to scupper it? What was the eventual outcome? I’m sure you can appreciate that without the actual details of the legislation that was voted against it’s simply not possible to determine WHY it was voted against. I do not doubt that most of this legislation is well intentioned, but that’s not to say there’s not flaws in the bills and possibly a better way of doing things, and that politicians would therefore be justified in voting them down. Yeah and its Labour that has been privatising NHS services, sucking up to Murdoch and making Civil Servants redundant, then cuts their redundancy pay. Why are Trade Unions paying Labour to cut our jobs and Services? It was good to read this – there is a video with the opposite point of view on ConservativeHome! I prefer this, above, though! … and it was labour who in allowing unrestricted immigration and active pursuit of the marginalization of its core working class vote caused the rise of the BNP – a left wing organization not right as labour tries to portray them. Mr Khan will need a new job by this time next week. The people of Tooting are not voting for him because of his terrible record. Big of you. Let’s just pretend the Iraq invasion never happened, shall we? “The Liberal Democrats voted against our original proposals and have diluted the provisions of this Act (as did the Conservatives).” This would be the bill that was changed to make it to that it wasn’t worded in a way that large swathes of the Koran would have been illegal to recite or preach on? (a similar amendment was added to Labour’s ‘equality bill’ so as not to deny Muslims the right to say that some sexual behaviours are wrong) – the bill as it stood would have meant that you could be arrested and found guilty for even vaguely criticising another religion by suggesting it’s wrong. Sounds like a good thing for Muslims in my view, not to be arrested under legalisation designed to protect them. Thank goodness the Tories and Lib Dems saw that massive error and, while still allowing the substance of the bill – stopping discrimination – also stopping the version of the bill that meant that everybody would have to behave like an empirical pluralist and the free exercise of Islam would end – only approved beliefs would be allowed to be expressed without fear of arrest and imprisonment. Warsi’s “inspiring character”? Osborne’s “view on the economy”?? How much are these gullible chumps being paid?? And if they aren’t being paid, surely they don’t believe things will be better for Muslims or for anyone under the Tories?? Well it’s not doing so well under new labour is it, as for the Muslim or anyone else, all Labour are interest in who is going to vote for them, if not working class how about Muslims. Please don’t try and claim one party is the “only way” for a religion. Do you really want to live in a country in which Muslims vote one way, Jews another? Christ, this is SO short-sighted. Please, Sadiq. There are serious issues here, bigger than a mere election. Try to see the bigger picture, and desist from claiming that one party is the “only way to go” for muslims. Or any faith. Labour gave Pakistan and India independence, but they messed it up so badly that 15 million people were displaced and the newly independent countries fought the first of many wars within 2 months of partition. The Liberals had Britain’s first Asian MP (Dadabhai Naoroji) back in 1892! And Parmjit Singh Gill will definitely win back Leicester South for the Lib Dems, where he was previously MP but lost to the Labour candidate Sir Peter Soulsby in 2005. As a muslim, I cannot believe the hypocrisy of this man. Labour have token muslims – everyone knows that. It is the same with all the parties. in the interests of openess and honesty could you tell us if labour are promising to invade and devastate two more muslim countries if re-elected? or, being nu-labour, are they going to improve efficiency and make it three? whilst lying to parliament about intelligence of course…..perhaps you could put it on a pledge card? I thought these Muslims etc were supposed to British citizens, equal before the law, sharing their newfound privileges as British citizens, not harping on about their special rights etc? I have been a Labour supporter, but this appeal to sectionalism, any sectionalism, is not the way to go. We simply do not need this separatist, tribal, religious based stuff. (a) By ‘giving’ independence he suggests that India and Pakistan belonged to Britain and was theirs to benevolently give to the people. Those who fought for the independence of Pakistan and India did so because they were claiming back what was rightfully theirs. Taking away the rights and liberties of millions of people and giving them back hundreds of years later is NOT something that Britain can feel smug about. Millions of Indians and Pakistanis celebrated the end of foreign rule by a colonial power. Independence had been demanded decades previously and thousands died in this pursuit. To suggest that Muslims should be grateful is like thanking a burglar for wiping his feet before entering your living room. (c) By using this statement in the context of why Muslims should vote for the Labour Party he suggests that it was because of the labour party that independence was given. Actually, it was because of the protesters of all backgrounds who collectively resisted, many giving their lives for the cause of independence. It was also because of promises made by the British that they would leave if India supported the British in all their wars and also because after WW2 Britain was so far in debt that it could not afford to continue colonial rule in India. To suggest that it was because of the Labour party is extremely patronising and undermines those of who gave their lives for independence struggle. The Labour party has an atrocious record on Civil Liberties which have undermined the protections afforded to the ‘most vulnerable people in society’ which the UK had developed over centuries. The Labour party was responsible for increasing the days in which suspects can be detained without being charged to 28 days and made efforts to double that amount. A gross attack on the rule of law previously enshrined by centuries of constitutional and judicial efforts. The Labour party is also wasting billions on introducing ID cards which serve to supervise and monitor incoming immigrants. Sadiq Khan – civil liberties are there to protect vulnerable people in society. Labour is NOT doing this. Why on earth in the week of a General Election, where by every single poll Labour is languishing in third place, is a Labour supporting website reminding people of the worst aspects of this discredited party by giving space to this dishonest vote loser? the muslims will vote for Labour PPC when they represent their community. And if that means going against the labour whip on things like id cards, 90 day detentions and unconditional support of israel, then that is the price that these PPC have to pay for the vote. If gordon brown wants to avoid a complete disaster then he needs to give those labour PPC in muslim areas the right to go against the whip without the threat of being sacked. Just as the likes of Jeremy Corbyn repeatedly go against the whip. As a “white” Muslim, I would like to make it clear to everyone that the majority of Muslims are either born here or converts to Islam. The majority of so called waves of “immigrants” are actually coming from the European Union. 80% of immigration is from Europe but politicians don’t want the public to know about it because they don’t have a solution to it. As for Mr Khan’s advice. 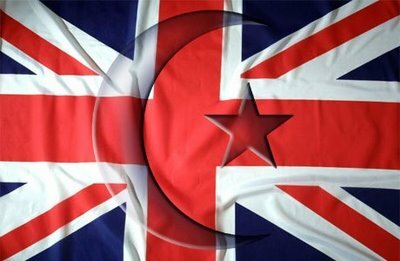 All Muslims I know and meet will vote on what they think is best for the whole British society and not for parties who support Media scarmongering tabloids who scares the public of anything related to Muslims. I guess that takes out Tories and Labour off the list. Hopefully, Labour will soon continue their unconditional support to Israel from the opposition. And just who voted against an Inquiry into the Iraq War. A unjustifiable war that cost the lives of not only British troops but MUSLIm civilians. Who can Khan boast Labour is the only choice for Muslims. I find his views disgusting yet the people of Tooting bought this rubbish for another 5 years.